That's why all links to the board are broken. You can simply fix that by yourself. and the link works again. Would be nice if you can fix the links in your posts by yourself if you find one. Then the Mods and Admins have less work to "repair" the board. I would hold off fixing any links for now. Guru might be able to fix these site-wide, and if he does you might have to go back and change your links again. I went ahead and fixed the links in the FAQ and Assets Links threads since they are used the most. Looks like no one is working on a site-wide solution, continue repairing your links if you see one. I just wanted to ask wether it is or why it isn't possible to forward gametoast.com/forums to gametoast.com. There are many links everywhere on the internet pointing to Gametoast and all of them are useless now (most people don't know they simply have to delete the "forums/" in the URL). Sorry, didn't really get what you wanted to say...? 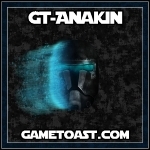 In case you meant you would add functionality so that external links to gametoast.com/forums/something are forwarded correctly - it doesn't work.